The dental assistant is a key role in any dental practice, making sure infection prevention protocols are followed, handling front office tasks and assisting the dentist during tricky procedures. As the role has a number of important responsibilities, it is vital that a dental assistant is always looking for ways to improve themselves, so we’ve put together some helpful tips on how to be the best dental assistant that you can be. Stay proactive – Dental practices are busy places and there is always something to do, especially in a role as multi-purpose as the dental assistant. If you find that all your allotted tasks are done, offer to help a colleague. A good team spirit, and an atmosphere where everyone feels supported, is a fundamental part of an efficient practice. Be a good listener – The vast majority of the duties of the dental assistant involve interacting with and assisting others. You should be prepared to listen to the concerns of everyone from the dentists to nervous patients and respond appropriately. If you are being given a task it is always better to ask questions and listen carefully to the answers than to make guesses that could affect patients. Stay organized– Organization is key to being the best dental assistant that you can be. Many dental assistants are expected to sit chairside and assist the dentist during dental procedures. To provide the necessary level of assistance you will need to be observant, efficient and organized. 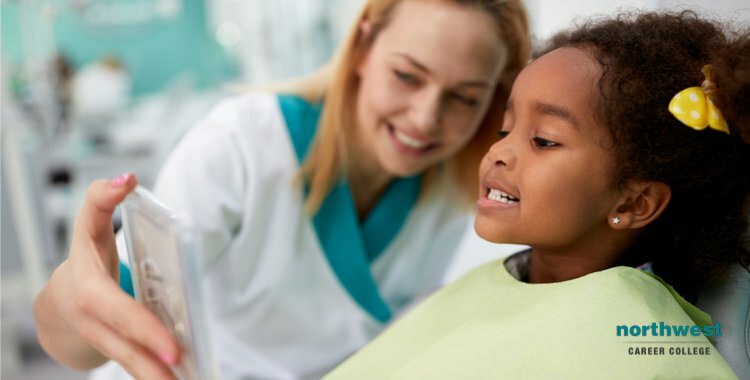 Once you have reached a level of familiarity with the procedures, try to anticipate what the dentist needs, so as to be as efficient as possible. Ask for feedback – The best way to become better at any occupation is to seek feedback on your performance and adapt the way you work to overcome any weaknesses. Don’t wait for you annual performance review, be proactive in asking for advice and action that advise once you have received it. Learn from your mistakes – You will make mistakes, everybody does. But each mistake is a potential learning experience. Once you have recognized your mistake, take steps to make sure it is not repeated. Stay current with advances in your field – Dentistry is a rapidly evolving field and keeping up to date with new practices, technologies and procedures is not just the responsibility of the dentists. Since many dental assistants are in charge of infection control, you should be entirely up to date with the most current anti-infection procedures. Not only does a good working knowledge of advances in your field make you better at your job, it demonstrates a willingness to learn and a proactive manner that could set you apart from other candidates as you advance your career. Here at Northwest Career College we firmly believe that learning is a process that continues on the job. Our Dental Assistant Training Course gives you all the key skills and experience you’ll need to find the best dental assisting employment opportunity in Las Vegas. Our Dentall Assistant School offers morning, afternoon and night classes to accommodate your busy work and family schedule and our established, seasoned instructors have helped our students achieve a 91% national exam pass rate. Call us at (702) 403-1592 to speak to one of our admissions assistants about your new dental assisting career.